The candidate of the All Progressives Congress (APC), Tony Nwoye, has promised to ensure that workers in the state get a living wage, stating that he would sustain the financial procedure first established by former governor, Chris Ngige and sustained by his successor, Mr. Peter Obi. 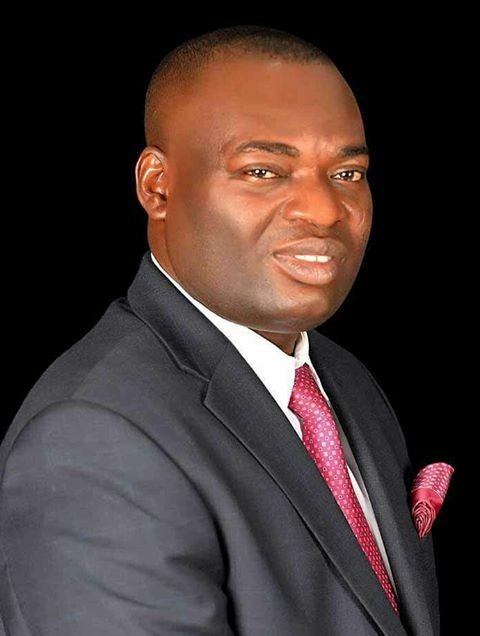 The Nwoye Campaign in a statement it issued yesterday said that Nwoye would also ensure that civil servants do not spend their retirement in penury, adding that “our determination is to ensure that not only are salaries paid when due, but we will adjust our model from a minimum wage structure to a living wage structure where civil servants will not be financially disadvantaged. We will adopt the procedures set down by Dr. Chris Ngige and Mr. Peter Obi. “Prosperity for Anambra State must also include a better future for our children and happy retirement for our pensioners. We will clear all outstanding pension owed and ensure that civil servants receive their full entitlement immediately after they retire,” the statement read. In a related development, Nwoye’s supporters, yesterday, gathered at Ozubulu in Ekwusigo Local Government Area, promising that the party would take over the state on November 18. The event at which supporters were mobilised was at the instance of Chief Kingsley Obuikwu, Tochukwu Ofoegbu and other stakeholders at Ozubulu who embarked on sensitisation at the rural community. One of the special guests on the occasion was the Deputy Director of Tony Nwoye Campaign Organization, Mr. Jude Onyeka who said that the state would only enjoy the dividends of democracy from the federal government when APC takes over the state. Onyeka said anybody who understands the mechanism of politics would know that the best thing for any state to do is to get connected to a party that is in control at the national level and do away with political parties like the All Progressives Grand Alliance (APGA) whose presence is only felt in one state. He said with APGA, Anambra State will be choked up as far as national politics is concerned. He said Nwoye’s candidacy was a good thing based on the fact that he is popular at the grassroots and is a dogged fighter for the rights of the people. He gave the instance of Nwoye’s tenure as the President of National Association of Nigerian Students (NANS) which he said endeared Nwoye to many youths across the country. While addressing the supporters, Chief Obuikwu told them that since the bane of the society was corruption, supporting the APC whose leader is President Muhammadu Buhari, was of essence. He said the APGA’s invocation of the name of the late Ikemba of Nnewi, Chukwuemeka Odumegwu-Ojukwu, was a form of deceit and should not be taken seriously by Anambra people. “When I see bill boards bearing the slogan, nke a bu nke anyi (this is our own), I laugh because I know it is deceit. They are only after their pockets. After governor Peter Obi, it is no longer ours but theirs. Ours will come when Nwoye is elected governor of Anambra State who will then go to Abuja to bring what is really ours,” Obuikwu said.